New York in the early 1930s – the city is in the middle of a construction boom. Skyscrapers are shooting out of the ground like mushrooms. As a player, you get involved in all the planning and building work as you help to create a fascinating metropolis bit by bit! 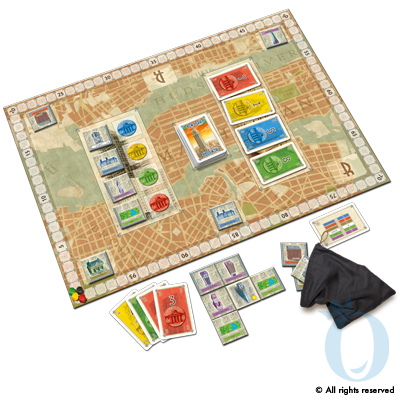 The easy-to-learn playing mechanism of this independent game is based on “Alhambra“, the Game of the Year 2003 by multiple award-winning bestseller game designer Dirk Henn. Add a Review for "New York"